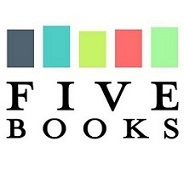 Five Books is a website devoted to in-depth interviews with leaders in a wide variety of fields – philosophy, politics, science, literature, and so forth – about five books in their fields that they would recommend. Recently I was interviewed for the site on the subject of five books on arguments for the existence of God. It’s a pretty long interview (and conversational in style insofar as it was conducted by telephone). While you’re over there, take a look around. There are over 1000 interviews at Five Books with public figures as diverse as Karl Rove, Woody Allen, Paul Krugman and Jerry Coyne, including interviews with prominent contemporary philosophers. UPDATE 4/6: Commenting on the interview, Jerry Coyne does an absolutely brilliant, dead-on parody of a Jerry Coyne blog post. One of the interesting consequences of denying PSR and accepting brute facts is that it basically amounts to a wholesale reification of logical possibility, or metaphysical collapse. What is logically possible in itself now becomes a serious possibility, because of the virus of "bruteness" that has infested them all. Now anything that is logically possible is now a serious possibility as long as it can happen for no reason, that is, brutely. This, however, is the broadest sort of actual logical possibility - there is nothing more to make possible after one introduces brute facts into the world as a real possibility. Especially things that used to belong properly and solely to the First Cause. Not only conservation of existing things, but annihilation, and creation. Does Thomism imply the first two laws of thermodynamics (energy can neither be created nor destroyed, enthropy is unavoidable)? It seems so at first glance, but Thomists in the Middle Ages and early modern age didn't object to perpetual motion machines, or the idea that energy can in fact be destroyed and created somehow, though not ex nihilo. Heck, Thomists would have been comfortable with the idea that there is no maximum speed limit in he universe. Is this true? Can Thomism accomodate a possible universe where decay and enthropy may be violated and energy both created and destroyed? Or must it insist on thermodynamics based on metaphysical principle? Obviously, Thomism (and Christianity generally) entails that matter and energy can be created. However, this does not violate the laws of thermodynamics, if one means by those laws the qualifier "within the given system". For God is not within the system, and so God creating is not addressed by the laws. Thomism does not insist that God HAD to create a natural order with the specific laws we observe. It only insists that given that God were to decide to create an order, that it be coherent to the final purpose of being for the greater glory of God. This would presumably entail a hierarchy of goods, but no specific set of laws. You are correct that Thomism doesn't insist that God had to create a natural order with the specific laws we observe, but a consistent application of Thomism entails that God, being necessarily simple and immutable, necessarily created this particular natural order with these particular laws we observe. So, God didn't have to create this particular natural order in the sense that he was forced to do so, but neveretheless,he could not possibly have created anything else (or even nothing at all for that matter). God is not within the system, but the system is within God. But what I'm refering to here is matter being created and destroyed within the system as well, since that is what is primarily a violation of the First Law. And it seems to me Thomists would have no problem with such a universe where thermodynamics didn't apply. Because Thomists didn't seem to have problems with the idea of perpetual motion machines which violate the laws of thermodynamics when it was still seriously considered in the Middle Ages. Heck, considering that Thomists don't believe in legalised laws of physics in the first place, but rather in the natures of things behaving as they do, it would seem that Thomists would interpret worlds where the laws of thermodynamics are false as being inhabited by creatures whose natures are completely different, such that energy can in fact be created and destroyed within the system because that's the nature of the system, the way it behaves and what it does . So it seems that Thomism could easily accomodate a world where matter and energy literally are created and destroyed within systems, violating the laws of thermodynamics, but being metaphysically unproblematic. Hello Walter, I think ST 1a 25.6 may show Thomas as rejecting what you suggest above. In that article Thomas argues that God could make better that which He has not in face made better, and that He can make additional things. That position seems to dovetail, to use anachronistic terms, with a claim that God could have created other, different worlds from the one He did create. Thomas seems to want to reject a claim that God necessarily created this particular order. My understanding is that "this is the best of all possible worlds" is not a doctrine propounded by Aquinas, but I could be wrong. I don't claim this is the best of all possible worlds. I argue that under Thomism there cannot be any distinction in God. So, God is His will to create X instead of Y and cannot be His will to create Y instead of X.
I know what Aquinas defends and I know that he believed God could have created a different world or no world at all But I argue that a consistent application of divine simplicty, divine necessity and immatablity simply leaves no room for any difference in God's will. If God is His will to create X than God is not His will to create Y. Otherwise you end up with God being diffent in world A versus world B. Then that is your view, not Aquinas's, and I disagree with your view. It is a de re/de dicto fallacy to think that God's necessarily willing X is the same as X necessarily being the object of God's will. God doesn't necessarily will to create X, God only wills Himself, and willing Himself is consistent with creating (or not creating) X Y or Z, since God doesn't need any of those to perfect his nature. I never claimed that it was Aquinas's view. As for your de re/de dicto claim, in a simple and immutable being there is no de re/de dicto distinction. If God is His will to create X than God is not His will to create Y. God is His will; 'His will to create X' and 'His will to create Y' are extrinsic denominations of His will based on how other things are related to it. Also, simplicity is not lack of distinction, contrary to your previous characterization; it is lack of composition. Prior to creation, there are no 'other things' related to God's will. As to divine simplicity, allow me to present a quote from Professor Feser himself: "There is also no distinction within God between any of the divine attributes: God’s eternity is His power, which is His goodness, which is His intellect, which is His will, and so on. Indeed, God Himself just is His power, His goodness, etc., just as He just is His existence, and just is His essence. Talking or conceiving of God, God’s essence, God’s existence, God’s power, God’s goodness, and so forth are really all just different ways of talking or conceiving of one and the very same thing. Though we distinguish between them in thought, there is no distinction at all between them in reality." "Prior to creation" is an interestingly ambiguous phrase. As God is not temporal, the prior here can't be temporal, so all this means is that God's will, as such, has no necessary relation to created things. This is true, and Miguel has already pointed out that this is inconsistent with your claims. Though we distinguish between them in thought, there is no distinction at all between them in reality. You seem to have completely misunderstood Ed's claim here. (1) He is specifically and explicitly talking divine attributes; attributes are not specified by created objects. Your 'will to create X' is not a divine attribute; only the divine will is. (2) What Ed means by the last sentence is that there are no real distinctions between these attributes (as he says previously there is no distinction within God between them) but he explicitly allows there to be rational distinctions -- in which case, a fortiori, we can distinguish the will to create X and the will to create Y by extrinsic denomination, as I noted. There is a de re/de dicto fallacy there, because God's necessary willing of Himself is *not* the same as God's willing to create X. Creating X is as compatible with God's will as creating Y is. From the fact that God necessarily wills Himself it does not follows that He must create world X instead of a relevantly similar world Y (or not creating) because God doesn't need to create anything in order to have Himself. God's will is always fulfilled. Read John Wippel's article on "the ultimate why question" about how God is free to create or not create even though He necessarily wills himself. Similar point to Miguel's is made in Pruss's "Leibnizian Cosmological Arguments" see "3.3. An objection: Causing the causing". "Prior to creation" is not to be understood in a temporal sense, it is to be understood in a logical sense. Of course, if God's relation to created things is not necessary, there is no real distinction between "prior" to creation and "posterior" to it, but I am merely using this as an imperfect analogy to show that created things cannot influence the content of God's will because that would mean they have some kind of existence external to God's will. If God's necessary will of Himself is not the same as God's willing to crate X, then God has two wills, which contradicts divine simplicity. I have read Pruss' essay on this and all I can say is that he is wrong. In his reply in 3.3 he begs the question. "They should instead insist that the same activity would count as God’s causing E in those worlds where God causes E and as God’s causing F in those worlds where God causes F." That basically says that since Pruss believes that God can cause either E or F the same will that causes E in w1 causes F in w2. But the question is: is it possible that the same necessary will can both result in E and ~E in the absence of any variable. Answering, as Pruss does, that proponents of divine simplicity should insist that this is possible amounts to saying that they should insist that squares can be circles. As I have told Alex, insisting on something doesn't make it so. created things cannot influence the content of God's will because that would mean they have some kind of existence external to God's will. (1) Your quotation from Ed is irrelevant to your argument, as I noted. (2) Your argument is logically incoherent, as Miguel has noted, but as you have again, in your comment to Miguel, failed to grasp. Not only does this completely ignore Miguel's logical point, it also fails to grasp the logical difference previously noted between real and rational distinction. The will to create X is a divine attribute because there is nothing that is not the divine will. The "X" is the result of the divine will to create X. "X" doesn't exist out there waiting to be included in the divine will. Nor does God's will include the will to create X or ~X or Y ... and only one of those happens to come into existence. Everything apart from God is the result of the divine will. That is something both you and Miguel seem to fail to grasp. Per divine simplicity, there can be no distinction between God's will of Himself and God's will to create X. God has only one necessary and immutable will. That basically says that since Pruss believes that God can cause either E or F the same will that causes E in w1 causes F in w2. But the question is: is it possible that the same necessary will can both result in E and ~E in the absence of any variable. Answering, as Pruss does, that proponents of divine simplicity should insist that this is possible amounts to saying that they should insist that squares can be circles. As I have told Alex, insisting on something doesn't make it so. But by "insist" here , it is simply meant what the particular model of divine simplicity and explanation here is and what it isn't. So this isn't problematic. The will to create X is a divine attribute because there is nothing that is not the divine will. This ignores literally everything I have pointed out to you. I have already noted why your argument here is incoherent. 'The will to create X' is a description of an attribute (the divine will) relative to something that is not an attribute (X). It is not itself what anyone but you means by a divine attribute, precisely because it includes something that is not a divine attribute. No, this is recognized by all parties, and is irrelevant, because the dependency of X on God is a real feature in X, not in God. Per divine simplicity, there can be no distinction between God's will of Himself and God's will to create X. (1) Divine simplicity is not lack of distinction, but lack of composition. Aquinas is extremely clear about this; he repeatedly states it, so there is no excuse for ignoring it here. It only rules out distinctions that require composition. Your argument is based on an incorrect understanding of what Aquinas means by simplicity. (2) Rational distinctions are not ruled out by strictures against real distinctions that imply composition. (For that matter, real distinctions that don't imply composition wouldn't be ruled out, either.) As I pointed out, this shows that you have misunderstood Feser, as well. (3) 'The will to create X' literally and on the face of the expression refers not only to the divine will but also to X, which is not a divine attribute at all. Therefore 'the will to create X' and 'the divine will' are not interchangeable salva veritate, as your argument illogically assumes. Likewise, 'the will to create X' and 'the will to create Y' both indicate the divine will, but do so with respect to a different source of extrinsic denomination; a distinction in the source of extrinsic denomination is not a distinction in the divine nature. Literally every point of your argument is either a misinterpretation of the doctrine of divine simplicity or an elementary logical error. In addition, I suspect you are confusing 'will' as an active power, which is the only sense in which it applies to God, and 'will' as a capability that is activated in this or that particular way, which could only be true in a creature because it implies composition. At least, this is the only possible excuse for the error you keep stubbornly making with regard to (1), in which you repeatedly misinterpret Aquinas's account of divine simplicity despite being repeatedly corrected. the will to create X' is a description of an attribute (the divine will) relative to something that is not an attribute (X) is wrong because it entails something existing (a source of extrinsic denomination) that is not the result of God's will. Neither you nor Miguel (nor Feser or Aquinas I suppose) seem to grasp this, so I guess we'll have to agree to disagree here. One last note: no, I am not confusing "will" as an active power with "will" as a capability that is activated and I don't misinterpret Aquinas' account of simplicity. But if you stubbornly want to believe that I do, be my guest. It isn't in and out of itself probematic to insist something but in this case it is incoherent. What would be the answer to the question of why God created this world rather than another one, on the Thomist view? Are there several possible answers, (ala Alexander Pruss' analogy of God and human choices, or the more mysterious approach of saying that "Because God freely chose so" is sufficient enough in itself), or just one complete answer alone? Because while it is true that "willing world A" and "willing world B" wouldn't entail that God has different wills and is by divine simplicity a different God, it would still entail that God's will had (or could have had) different contingent objects, which would require an explanation. What sort of incoherence is here? as your original argument for it is directly addressed by this model. I have already explained this. The same necessary will can both result in E and ~E in the absence of any variable is incoherent because either God wants (wills) E or He wants (wills) ~E. If the very same will can account for both E and ~E, what would it even mean to say that E is the result of God's will? God's will would be completely redundant in this case. But this is the very thing that being denied in the above and explained by Miguel and Brandon, that God don't really will E,~E or any world. The same activity of God explains E in one world and ~E in another. I have told you why that is ansurd. There really isn't anything more to say for me here. But you've only asked "is it possible that the same necessary will can both result in E and ~E in the absence of any variable." And answering yes to that doesn't seem to be incoherent. What would be the answer to the question of why God created this world rather than another one, on the Thomist view?.... [I]it would still entail that God's will had (or could have had) different contingent objects, which would require an explanation. The divine will is perfect love of perfect goodness; its object is thus the divine goodness itself, as noted by Miguel. This is why the relation of creatures to it is not a necessary relation; they are literally not needed for God's object in willing. But divine goodness as an object makes it appropriate -- although not necessary -- for other things to be participant in divine goodness, as signs and images of it. Since the signs and images are never adequate to the goodness of which they are signs and images, no set of them can be the only possible signs and images that would express divine goodness. So any of the signs and images derive freely from God. Unless you're a Molinist, there is no choice between 'world A' and 'world B'; at least, it could at most be a shorthand if you're not a Molinist, since only Molinists (broadly construed) think that creation is a choice between possible worlds. For a stricter kind of Thomist, the only question is, "Why did God create the world?" Not world A, not world B, but why did God create at all? And the reason is that it is made appropriate and possible, although not necessitated, by the superabundant good that is divine goodness. Anything beyond that is just questions like, Why do sheep exist?, Why is there such a thing as granite?, Why are there ducks?, and so forth. We could phrase these in the form, "Why did God create ducks?" But the question is actually about ducks (what makes them appropriate to being signs of divine goodness, either in themselves, or indirectly as part of the whole of creation), not about God or His mental acts. The question is thus (so far) loosely analogous to something like, "Why did J.R.R. Tolkien create Quenya rather than some other language?" It really is just the question of "Why did Tolkien create a language at all?" combined with, "Why is this or that word or phrase or grammatical structure appropriate to his creating a language?" Of course, the analogy only extends between what is made insofar as it is related to its maker, not to the making itself; Tolkien's mind is composite, temporal, the ability of someone with a material body, etc., and God's is not. But we can go even further. In Thomistic terms, the question "Why does God create?" is only indirectly about God; by the principle of remotion we can't attribute anything to God unless it is supported by a causal inference. The question is actually just: "Why is the world something that is an appropriate but not necessary participant in divine goodness?" The world we can say a fair amount about, although we lack the ability to do so completely. We'd literally have to be omniscient to say anything about the divine will, except insofar as we can say something indirect and relative about it based on its effects. Assuming Molinism, what potential answers are there to the question of why God chose to create this particular world as opposed to another? Especially considering how Molinism wants to deal with objections such as that God could have created a world where all human beings are saved, but rather chose this world than the one where everyone is saved. I don't know; I'd imagine it depends on the exact formulation of the Molinism. Given that the choice would have to take place with respect to middle knowledge, it would presumably be some overall feature of the world or order of nature -- simplicity and richness a la Leibniz, or some other such thing. Something regarding the fourth book, and also something that’s been on my mind for a while now: If God allows evil so that greater good may come out of it, could then one argue that God is a utilitarian of some sort? I have thought of that too and sent a question to William Lane Craig about it. No, because God is not committing wrong to achieve some good, for He neither commits the evil not is He obligated to stop it. If anything it is closer to double-check kinds of reasoning, though even there it doesn't properly fit since double-edge to can only be used by people who are moral agents in a way God never can be. Has Dave Rubin been in contact with you yet? You have been discussed several times on his Twitter feed in regards to commenters questions. And here I thought you were announcing a new book series you were writing - false advertising (or as a certain president likes to say, false news). But the recommendations will do *for now*. Light as a speed limit is being argued against owing to particle accelerators. I don't pretend to be able to judge the math employed in this video I will link but the reasoning is sound enough: basically we already do have things moving at or near light speed (electrons) in certain situations and we only need to add a small amount of force/energy to further accelerate them beyond the speed of light. Honestly, when you think about it, why should something like 186,200 miles per second hold some almost magical speed limit? Why not 186,100 or 186 300? Of course the only reason is because Einstein gave a privileged place to light in his physics. The question is whether or not light deserves any such privileged position in nature. Most Christian thinkers didn't in the modern sense of laws of physics. They believed that regularity rested either on God's "mind" (e.g. mathematics) or His "nature" (e.g. the principle of non-contradiction). Some modern Christian apologists (e.g. Dr. Lisle) hang physics essentially on God's promise to Noah that e.g. seasons would continue unabated until the end of this world. God could e.g. make light move at any speed He pleases and even make it variable if He wished. However I think it should be controversial to effectively deny that there is any objectivity to the physical world that reflects God's goodness and has a moral component as well, albeit difficult for us to see or ascertain im any case - that physics and laws of physics have a reason for being what they are ultimately in and from God. 'laws of physics' is an intimately theological conception of the physical world. The concept may or may not prove useful. I think a Neo-aristotelian philosophy of science might tend towards things have potencies intrinsic to them. In turn these things will have regular actions based on their intrinsic abilities. Without getting into a wider debate on space-time and cosmology. The natural sciences have their own independent object of study, and should be conducted according to an appropriate methodology. A Thomist, like anyone else, is free to interpret the data according to reason and come to a conclusion independent of any religious orientation. Schopenhauer affirms the PSR and is an atheist. The five books on the philosophy of mind are kind of terrible, that is, not very diverse. For example, the A-T metaphysics you defend is nowhere to be found. Vivat Descartes, that sort of thing. Part of the way the site works. Unfortunately it results in bias. A comment on Jerry Coyne’s new article says “philosophy can’t prove anything”. Isn’t this a philosophical statement? I genuinely try to read Coyne sympathetically because I think he’s smart and right about evolution, but mostly because, unlike him, I don’t want to just root for my “side“. But his review of Feser’s interview is plainly a mix of missing the point, begging the question, and cheap, irrelevant rhetorical snark. It’s obvious that he hasn’t mastered the first mover argument in the full form given it by Feser. That’s ok. Most people haven’t, but that gives the lie to his claim to understand what he’s criticizing and reduces his objections to parody. When you read something as unambiguous, concise, and logically coherent from first premise to conclusion, as Feser’s first mover argument is, how do you take seriously someone who - on the back of his scientific credentials which are totally irrelevant - dismissively calls it “babble”? It seems Coyne doesn’t really have a substantive philosophical objection, except for his empiricist bias, which he seems to take as self-evident and not as an unjustified philosophical perspective, which of course it is. I more or less agree with your sentiment, but one thing I’m wondering is, if such people are so illogical, why do you trust them on other things (like evolution)? It’s not like they suddenly turn into completely different people when dealing with their own specialty. And it’s not like his treatment of his scientific opponents is any better than his treatment of theistic philosophers. I could go into details, but this is probably not the right thread for it.